The Batching Operator is responsible for batching activities that must be performed with attention to the highest standards for quality, safety and compliance with all applicable legal and food safety requirements. The Batch Operator stages, weighs and mixes ingredients according to recipes. Works with Quality Assurance Technician on the analytical results and makes modifications to the product when needed. Make adjustments to batches (Brix, Acid, pH, color). Pre-weigh, blend, and liquefy components for beverage preparation. Accurately document lot numbers, quantities, and expiration dates on formulas per customer regulations. Perform cleaning of batching equipment and fillers (CIP's, foaming equipment and hand brushing). Operate electric forklift to load sugar following all safety procedures. Understand and follow plant safety rules, including wearing of PPE, safe lifting techniques, safe machine operation. Maintain a clean work environment as well as quality requirements in accordance with company standards (accurately filling out hourly inspection sheets based on overall product quality). Follow Good Manufacturing Practices (GMP) and Food Safety Standards. Assist in other areas as required by Production Supervisor/ QA Manager/Inventory Lead. Ability to speak effectively with management and employees at all levels. Ability and/or flexibility to work up to12 hour shifts, day or night, overtime. Ability to stand or walk for extended periods of time in a manufacturing environment. Ability to regularly lift and/or move up to 25 pounds, and frequently lift and/or move up to 50 pounds. Ability to visually inspect product and materials. Strong analytical skills - ability to analyze large amounts of data and determine deficiencies. Able to perform root cause analysis. Strong verbal and written communication skills. Able to communicate and work well with people on all levels of the organization. Able to receive, analyze and report out information efficiently. Strong computer literacy – MS applications, databases. Minimum Required: High School Diploma/GED. Any employment agency, person or entity that submits a résumé into this career site or to a hiring manager does so with the understanding that the applicant's résumé will become the property of Niagara Bottling, LLC. Niagara Bottling, LLC will have the right to hire that applicant at its discretion without any fee owed to the submitting employment agency, person or entity. Employment agencies that have fee agreements with Niagara Bottling, LLC and have been engaged on a search shall submit résumé to the designated Niagara Bottling, LLC recruiter or, upon authorization, submit résumé into this career site to be eligible for placement fees. U.S. Concrete is an American company that operates and sells its products and services within the United States. We take pride in seeking harmony with the environment while contributing to the building of contemporary societies, infrastructures, and high-profile projects that improve people's lives and connect them together. SUMMARY: Assist Plant Manager in directing production, distribution and operations for the assigned plants by performing the following duties personally or through subordinate staff. Positively supervises and motivates concrete delivery professionals, plant operators and/or yard attendants if any. Evaluates and mentors job performances, strengthens employee morale, to maximize safety, personnel skills and to optimize quality and quantity of production. Demonstrates and communicates high standard of customer service and satisfaction by working in conjunction with other company representatives and sales staff. Creates and fosters the entrepreneurial spirit by generating revenues, controlling expenditures to maximize the profits for the plant, region and company. Prepares timely company reports, Kronos, incident reports and starts invoice process. Documents employee behavior, both positive and negative, and responds proactively in accordance with company policies and appropriate CBA. Maintains housekeeping of plant office and premises to conform to company and legal safety and environmental standards. Efficiently batch concrete within the specifications. Dispatch delivery professionals to various job sites. Performs all duties assigned by company management. Must have the ability to work with others. Must have the ability to keep to a schedule. Must have the ability to focus on details. SUPERVISORY RESPONSIBILITIES: Directly supervises subordinate staff of delivery professionals, plant operators and yard attendants if any. Carries out supervisory responsibilities in accordance with the organization's policies and applicable laws. Responsibilities include: assisting Plant Manager in interviewing, hiring and training team members; planning, assigning and directing work; appraising performance; rewarding and disciplining team members; addressing complaints and resolving problems. QUALIFICATIONS: To perform this job successfully, an individual must be able to perform each essential duty satisfactorily. The requirements listed below are representative of the minimum knowledge, skill and/or ability required. Reasonable accommodations may be made to enable individuals with disabilities to perform the essential functions. EDUCATION AND/OR EXPERIENCE Bachelor's Degree from an accredited college or university and a minimum of three (3) years of operations experience and two (2) years supervisory experience is preferred; one to three years related experience and/or training. Ready mix concrete industry experience preferred. Must be computer literate. LANGUAGE SKILLS: Ability to read and interpret documents such as safety rules, operating and maintenance instructions and procedure manuals. Ability to write routine reports and correspondence. Ability to speak effectively with groups of customers or employees of organization. Must be able to read, write and speak in English. REASONING ABILITY: Ability to apply common sense understanding to carry out instructions furnished in written, oral or diagram form. Ability to deal with problems involving several concrete variables in standardized situations. Founded in 1996, Arizona Nutritional Supplements (ANS) is one of the leading manufacturers of specialty supplements for private label for leading national and global marketers and retailers. The company's high quality standards and superior customer service have attracted many of the leading sellers of supplements and driven rapid growth. Ensure that formulas are manufactured accurately by cleaning, setting up, and operating product mixing equipment. Read work orders and production schedules to determine specifications, such as materials to be used, weights, and dimensions and tolerances. Document and record information by entering and recording information such as product weights and time produced. Read work orders/batch records to obtain specific mixing information. Sign batch records to verify that correct materials are loaded into the blender. Examine material and ingredients to ensure consistent standards. Provide information and/or notification of problems to the Supervisor or management, and Quality Assurance. Clean and sanitize all equipment between production batches. Set up and observe all mixing equipment for proper operation. Comply with the Company SOP's for the production area, set up, operation, and clean up procedures. Performs duties safely and reports unsafe conditions or actions. Performs and assists in other duties as needed and directed. Proven knowledge of high speed, manufacturing equipment, experience with punch presses, or encapsulation machines preferred. Basic math skills including units of measurement (i.e., weight, size, volume). The ability to follow detailed instructions and Standard Operating Procedures (SOPs). Must be able to comply with Current Good Manufacturing Practices (cGMP), Food and Drug Administration (FDA), DEA and other regulatory and Safety requirements. Familiarity with manufacturing processes and equipment procedures preferred. Chemical Mixing Operator III- Night Shift. Carestream is a global provider of medical imaging systems and healthcare IT solutions, X-ray imaging systems for non-destructive testing, and contract manufacturing for precision films and electronics markets. We are passionately committed to doing whatever it takes to help our customers succeed—with innovative products and solutions that offer a smarter way forward. PEOPLE are our most important asset. We attract the best people and create a vital and progressive environment in which they can reach their full potential. Why work for Carestream as a Night Shift Chemical Mixing Operator? A target annual wage in excess of $46,000 including bonus with shift work scheduled at 84 hours every two weeks. Additional overtime hours beyond schedule at times. We are experiencing high demand for our products. 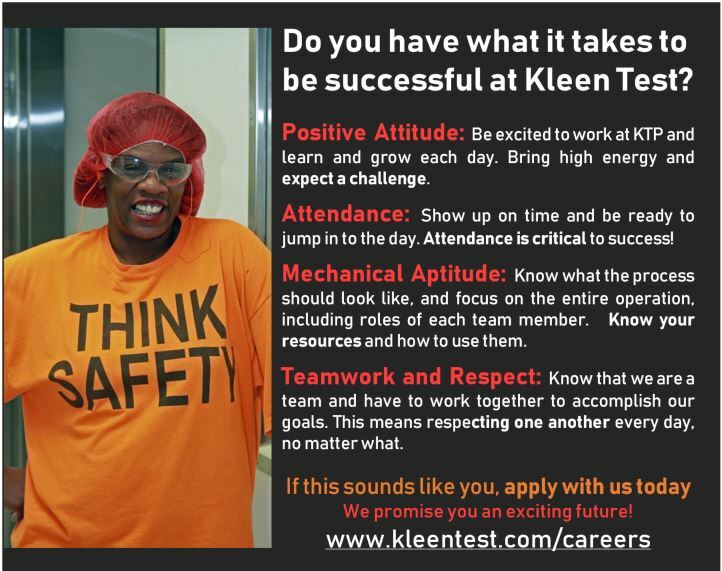 We are looking for career minded manufacturing operators. Prepare & Manufacture batches of photographic solutions. Operate & monitor mixing vessels, pumps, and valves. Performs a variety of duties in support of the operations of the Steam Plant. Operates residue ask systems and equipment in compliance with permits, regulations and standard operating procedures. Operates overhead bridge crane and assists other staff members as required. Monitors and controls the residue ash system to include all residue conveyers, flyash conditioning equipment, residue chutes, water pumps, magnets and vibrating equipment. Maintains the residue equipment and areas clean and free of fugitive ash and debris. Manages residue ash storage and processing. Performs truck loading operations, to include operating front end loaders, backhoes, and roll off trucks. Receives, stores and loads ash chemicals into the feed hopper. Performs batch mixing and environmental test sampling of the residue ash. Drives roll-off and dump trucks to the city landfill for disposal of the residue ash. Cleans residue trucks and equipment. Inspects trucks daily using the Public Works Vehicle Inspection Report. Operates various types of motor equipment such as fork lifts, light trucks, and other motor equipment. Recovers metals for recycling using fixed drum magnets and hydraulic electric can magnets. Minimizes contamination for the highest value of recovered metals. Manages, pumps, and stores residue area water. Cleans residue conveyers and return plans weekly. Keeps residue chutes free of debris and fire. Operates overhead bridge crane to handle and mix refuse in the storage pit and maintains the proper level of refuse in each furnace charging hopper. Removes large objects from the pit which could cause operating problems. Assists the operators and mechanics as required. Assists or relieves the weigh masters as required. Cleans and paints in the residue ash areas and the basement. Graduation from high school or successful completion of the GED. Minimum of one (1) year experience in the operation of heavy automotive equipment or overhead bridge cranes. Knowledge of traffic safety rules and regulations, accident prevention practices; skill in the operation of automotive equipment in all types of weather conditions. Must be familiar with solid waste operations. Must be able to follow oral and written instructions. Must be in good physical condition. Must be able to obtain a valid Virginia Class I and IV boiler operator's license within 12 months of employment. Holding current license or QRO certification preferred. Applicants must possess a State of Virginia Commercial Driver's License (CDL). Must have successfully completed safe driver training and have a satisfactory driver's record based on the City of Hampton's criteria. Must meet the City's required medical standards as provided by a licensed physician and pass a respirator physical. Any person offered employment in this position is required to successfully pass testing for controlled substances. Any person under consideration for this position must successfully complete a Virginia Criminal History Background Check. Performs duties under the direct supervision of the Steam Plant Operating Engineer. Requires working on an eight or twelve hour shift basis around the clock as scheduled, to include nights, weekends, and holidays. Requires working outdoors in all types of weather conditions. Must be able to operate a crane, which is stationed approximately one- hundred feet above the ground. Requires ability to lift up to 50 pounds of heavy items to include boiler parts, grates, etc. Some working conditions may be unpleasant. . This is a non-exempt position. Job Summary: Knife River has an immediate opening for a Concrete Batch Plant Operator in Southeast Idaho. Responsibilities include the following but are not limited to: day to day operations of batch plant, plant maintenance and repair, order, inventory and daily production reporting. This position will also operate a loader and assist with dispatch functions as required. 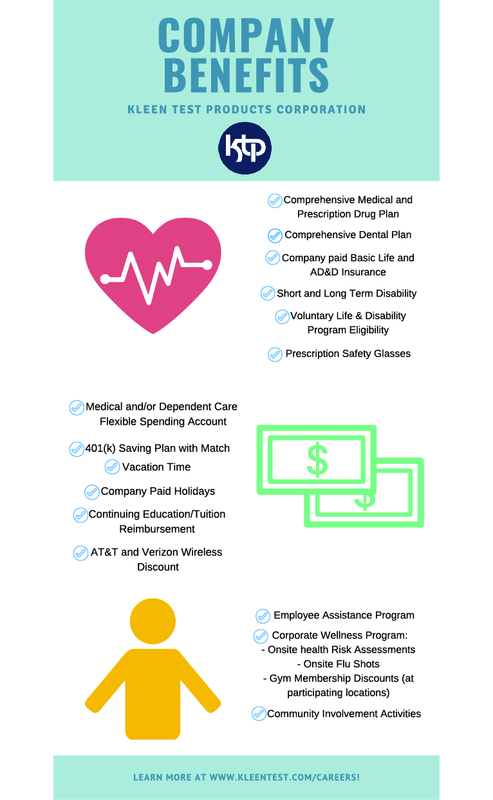 We offer a full benefit package after 60 days which includes medical, dental, vision and 401K. Thorough knowledge of all aspects of concrete batching technology, equipment and methods. This position will require you to work sometimes in extreme weather conditions. Job Summary: Responsible for management of Ready Mix Concrete facility, safe operation of concrete batch plant, and batch materials used in construction. - High School or GED. Four or more years' experience with plant maintenance & operations, preferably in a related industry. Working computer skills; knowledge of Command, Command Batch and Jonel system preferred. Knowledge of health, safety, and environment regulations and standards. - Perform daily equipment, walk around and site inspections to identify and correct any unsafe conditions and keep equipment properly maintained, and conduct toolbox meetings daily/weekly. Supervise Drivers, Operators, and Yard personnel. Safely and properly operate ready mix plant. Identify appropriate material to produce quality concrete per job specifications. Maintain adequate levels of all supplies and products, i.e. fuel, cement, admixtures, fiber mesh, etc. Communicate with quality control personnel and make required adjustments to material blends; take samples and test as necessary. Communicate effectively (verbal, listening, written) and work with difficult people under high stress situations. Self-motivated, team-player with good interpersonal skills; ability to maintain positive customer relations and act courteous/respectful of others at all times. Lead personnel at plant and work with Sales and Dispatch teams as needed to schedule drivers and ensure customer needs are being met. Respond to all complaints in a timely manner and assist in resolution. Troubleshoot and problem solve (material quality, equipment operation/repair, etc.). Monitor and discuss production problems with Operations Manager and Maintenance Manager. Safely and properly delegate maintenance (lubricating, fueling and cleaning) on loader and plant. Maintain yard & contaminate free aggregate piles. Some plants may require Manager to occasionally operate loader or other heavy equipment to maintain yard and keep concrete plant fed for maximum production. Perform frequently scheduled plant inspections. Accurately complete company reports and other documentation as needed. Collect COD monies and tickets; complete all required reports and deposits accurately and timely; maintain proper security on all monies as needed. Ensure OSHA, EPA, DNR, safety and environmental regulation compliance, including stocking of PPE supplies. Maintain safe working environment and foster safety culture, ensure good housekeeping skills and Lockout/Tagout procedures. If unable to apply online, mail completed application to Knife River Corporation South, PO Box 20257, Beaumont, TX 77720, or apply in person at 4825 Romeda Road, Beaumont, TX 77705.